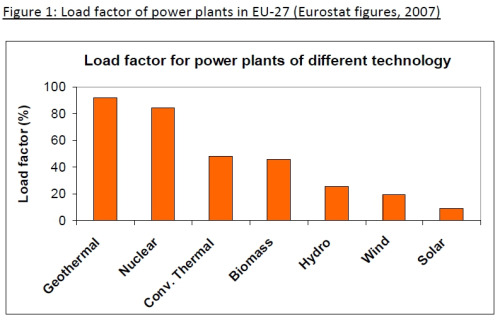 Figure 1: Load factor of power plants in EU-27 (Eurostat figures, 2007). 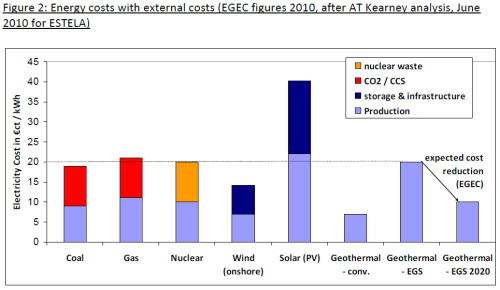 Figure 2: Energy costs with external costs (EGEC figures 2010, after AT Kearney analysis, June 2010 for ESTELA). Geothermal could supply at least 20% of European energy demand in 2050, according to the European Geothermal Energy Council (EGEC). “Things must change if Europe is to reach its energy decarbonisation objective, and that will not be possible without a substantial contribution from geothermal energy,” says EGEC President Dr Burkhard Sanner. “Providing a renewable base load, geothermal energy does not have external costs such as storage, grid infrastructure or waste management. Conventional geothermal power is already a most competitive energy source, but only possible in certain regions. “EGS, a breakthrough technology successfully demonstrate, will allow a geothermal development anywhere in Europe. EGS (short for ‘Enhanced Geothermal Systems’) will become competitive within a few more years. “Geothermal will be a key player in an optimal energy mix,” Sanner concludes. Create a European Risk Insurance Scheme to mitigate the geological risk.